It was okay. Anna and Charles are growing on me, but this series really has nothing on the Mercy Thompson books. 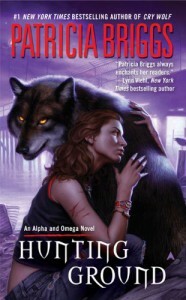 I love the in-depth look at pack-hierarchy and werewolf lore to go along with Mercy's books, and Anna's story is interesting enough that I'll continue on with it. I wish they chose a different narrator though, he makes the males in the story sound like a bunch of idiots. Definitely a solid 3 star for me.